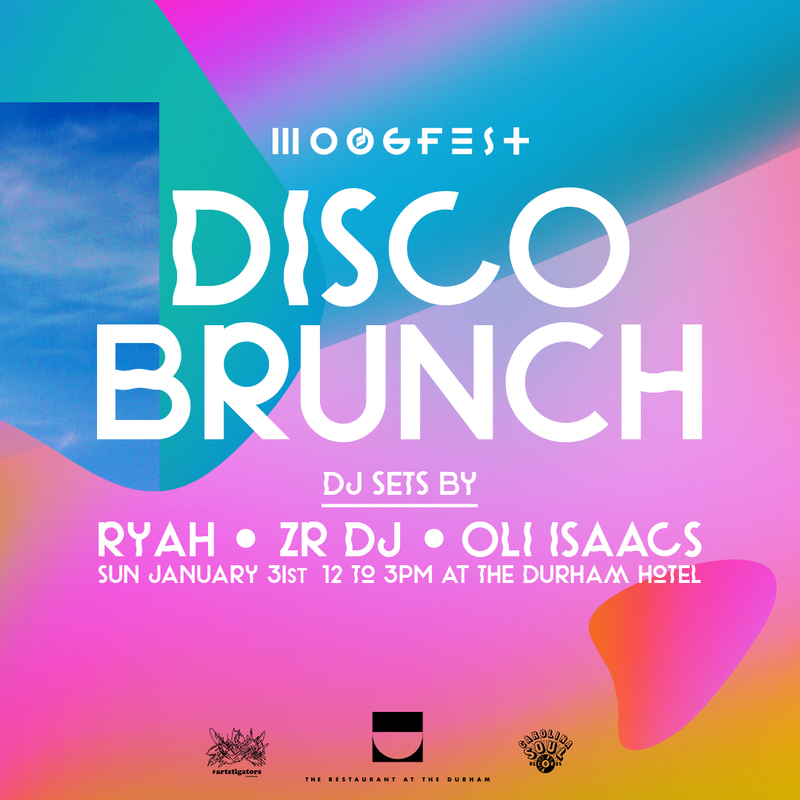 We are proud to partner with Moogfest, Carolina Soul and Artstigators to bring you our first Disco Brunch on Sunday, January 31, 12-3pm*. Disco spun by DJs: Ryah, ZR DJ and Oli Isaacs. Tropical Punch Bowls for the table, including the Skatalite – Jamaican rum, ginger, star anise, lime & proscecco. *Brunch service starts at 10:30 am; music will start at 12pm. Menu here. A limited quantity of $99 Moogfest Student Tickets will be available for purchase with valid Student I.D. Sign-up for the Moogfest Mailing List at www.moogfest.com to be among the first to know about upcoming events and promotions.